Are you a physician, nurse, dentist or a practicing healthcare professional? Or, are you an entrepreneur who wants to participate in the business of medical esthetics? If so, this live, interactive online course may be perfect for you. Practical steps to legally set up your medical spa: You do not need to be a specialist, or even necessarily need a university degree in medicine or dentistry to effectively profit from esthetics. 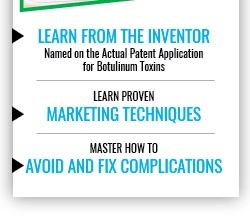 This course will teach you simple, actionable steps to legally create a management company that can administrate lucrative medical aesthetics treatments – including botox, dermal fillers, skin rejuvination, mesotherapy, sclerotherapy, microdermabrasion, chemical peels), dental esthetics (braces, tooth whitening), pain management and sleep apnea. 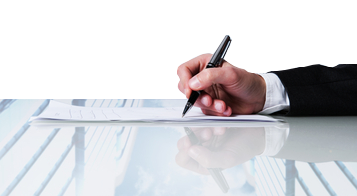 Learn the guidelines for legal negotiation between Physicians/Dentists & Spa owners, why any fee splitting is illegal, fee structuring & Management service contracts. Satisfy the healthcare boards of your state, and save yourself thousands of dollars in future attorney fees by assuring your legal compliance. Taking this course is essential to preventing potential financial or legal pitfalls, and accelerate your financial success should you intend to provide aesthetic medical treatments. Skin Rejuvination: ProfitabilityAlong with mesotherapy, microdermabrasion, chemical peels and other simple-to-perform cosmetic procedures, skin rejuvenation procedures are a perfect choice for medical spas that want to improve patient lives while enhancing the practice’s income-earning potential. Today’s skin rejuvenation lasers penetrate deeper and offer better results than those used in the past, stimulating the production of collagen to completely remodel the surface of the skin. With this innovative approach to cosmetic treatment, you can improve skin tone, tighten the skin and enhance its texture. You can also reduce fine lines, skin laxity and more. And patients will pay you as much as $2,500 for this work. Skin rejuvenation works by using an abrasive instrument that sands down the skin to get rid of its top epidermal layer. This stimulates the growth of newer, healthier skin that doesn’t show the signs of aging. Remember that because the United States has a free-market economy, you can charge whatever the marketplace will bear for this and other cosmetic procedures that you offer to your patients. As a guideline, the American Society of Plastic Surgeons recommends a fee of $2,500 for ablative skin resurfacing and just over $1,000 for non-ablative skin resurfacing. Still, some doctors charge $3,000 or more for the best procedures. Even better, the machines that doctors use for rejuvenation procedures cost only $500 to $5,000, depending on the brand, type and quality of the machine. As you can see, it’s easy to make that back quickly. Once you’ve broken even, your profit-making potential soars. And your satisfied clients are sure to come back for repeat procedures and other image-enhancing service you can offer at your medical spa. When you can do good things for good people and also make a significant profit that helps your business succeed, it’s clear you’re doing the right thing. For most medical spas, offering skin rejuvenation is a clearly intelligent choice. Laser Therapy: ProfitabilityWhen you offer laser therapy at your medical spa, you’re opening the door to a world of possibilities for your clients — and a steady stream of additional income for your practice. Along with skin rejuvenation, immunotherapy, chemical peels, microdermabrasion and more, laser therapy is an essential part of any medical spa. • Laser hair removal. Using heat from the laser light, this easy-to-perform procedure essentially damages hair follicles so they can no longer produce hair. Clients will be willing to pay between $100 and $500 for the treatment, and every patient will need from 6 to 10 treatments and then perhaps additional treatments. That means you can take in up to $5,000 from a single patient. • IPL photofacial. Scattered light energy goes through the skin surface to reduce unwanted pigmentation and stimulate the production of collagen to soften lines and wrinkles. It can even reduce rosacea redness. Patients pay you up to $500 per treatment and need 3 to 5 treatments. • Laser tattoo removal. Breaking up ink particles so they can be absorbed costs patients $200 to $500 per treatment, and as many as 15 treatments can be required. This means a patient can end up paying you more than $7,500 for a completed job. • Fractional laser wrinkle reduction. Microbeams stimulate the body’s own healing processes to reduce dark spots and uneven texture, among other things. With each treatment costing $1,000 to as much as $3,000 and 4 to 5 treatments required, your income potential from a single patient is up to $15,000 or more. Imagine lining up several regular clients for long-term laser therapy as just one part of your medical spa. When combined with the other money-making aspects of your spa, you can see how lucrative the business can be while making a real difference in the lives of your clients. Botox: ProfitabilityPerhaps not surprisingly, Botox is the most performed and most requested cosmetic procedure around the world. Opening a medical spa allows you to take advantage of the growing desire for cosmetic treatments, and no procedure is easier to learn or perform than Botox. When you’re properly educated, you can inject tiny dosages of powerful Botox and provide your clients with amazing results. In fact, many women and an increasing number of men desire Botox, and if you don’t meet their needs, they’ll simply take their business elsewhere. So why not profit from your clients’ desires so that everyone wins? • Puts you ahead of colleagues who don’t offer it. • Doesn’t require any special capital investment. • Doesn’t require an equipment lease payment. • Requires keeping very little product on hand. • Doesn’t require using a lot of expensive accessories. With overnight shipping of Botox products from the maker, you can pay as you go when you offer Botox to your clients. So how profitable is it? Consider this: Patients will pay you $600 to as much as $3,000 for Botox and accompanying dermal fillers in addition to whatever other services you’re providing to them. And it takes you only 5 to 20 minutes to perform the procedures. Your cost? It’s just $50 to $500, depending on how much product you use. Spending just two hours a week performing Botox can get you thousands in profits. Spend more time on this cosmetic procedure and benefit even more. When you include Botox, accompanying dermal fillers and other cosmetic procedures in your practice or open a full-scale medical spa, you’re dramatically increasing your profit margin while also increasing your ability to satisfy patient needs. What could be better than this win-win situation for everyone involved? Dermal Filler: ProfitabilityWhen you learn to perform dermal filler procedures, you’re learning a skill that pays big dividends. Along with skin rejuvenation procedures, sleep apnea treatments, pain management and teeth whitening, dermal fillers are an essential part of any medical spa. The idea of dermal fillers is to fill in creases and folds in the face where collagen and fat have gone away because of aging. With the right dermal filler, it’s possible to replace some of the viscous gel that is naturally lost through the years and restore a more youthful appearance to the skin. And because dermal fillers work better and look more natural than ever, clients are especially willing to give them a try. In fact, they’ll be asking for dermal fillers from the moment you first open your doors. Substances like Restylane, Juvederm and Perlane are injected under the skin in the appropriate locations for amazing results, and learning to perform the injections is quick and easy when you participate in the right program. Your clients can see smoother lips, correction of superficial fine line and reduction in the look of sunken cheeks as well as improvement of other issues with the hands, face and neck. • When a patient has 3 cc restaline or 2.4 cc Juvederm injected per year, the manufacturer makes $720, and you charge the patient $1,100 to $1,500. That means you make a profit of $380 to $780. • When a patient desires 1.95 cc Perlane per year, the product maker gets $490. If you charge the patient $1,100 to $1,350, you get a profit of $610 to $860 from this one patient. These two examples prove how lucrative dermal fillers can be. While these are only examples and actual product costs may vary, you can get similar results from hundreds of patients each month. Evolence and Radiesse provide even greater profit potential for you and your medical spa. What’s not to like about offering dermal fillers? Sclerotherapy: ProfitabilitySclerotherapy is today’s most popular method of varicose vein treatment and something that many sufferers from this embarrassing and potentially painful condition already know about. Patients will be willing to pay more than $350 for an initial treatment and $150 or more for follow-up sessions to completely eliminate their varicose vein issue. If your medical spa is in a high-income area or in a city where prices run high, you may be able to charge as much as $600 for a single session. The national average is between about $250 and about $500 per session, but you can set your own prices based on what your clients will pay. Your actual profit from any procedure will vary depending on whether you own or rent your equipment, what the market will bear in your area and how many procedures you can do in a week, month or year. Equipment, which can be leased, costs about $20,000 or more, but that’s easy to recover from multiple procedures on just a few patients. Any way you look at it, offering sclerotherapy is a win-win for the medical spa facility and for the patient. With almost no downtime and without spending any time in a hospital, a client can put an end to annoying varicose veins. And for the facility, the profit margin is good. When you consider that your cosmetic procedure patients will desire and ask for sclerotherapy, it make sense to offer what they want and reap the profits. Everyone will come out better off, and the profits you make from this easy-to-perform procedure will help support the other aspects of your practice as you grow and improve to better meet everyone’s needs. Mesotherapy: ProfitabilityA simple procedure that involves the injection of small doses of healing mixtures and compounds with fine needles, mesotherapy is inexpensive to offer and can easily bring in hundreds of dollars per therapy session. Intrigued? If you’re running a medical spa, you should be intrigued by the powerful profit-making potential of this often-requested procedure. 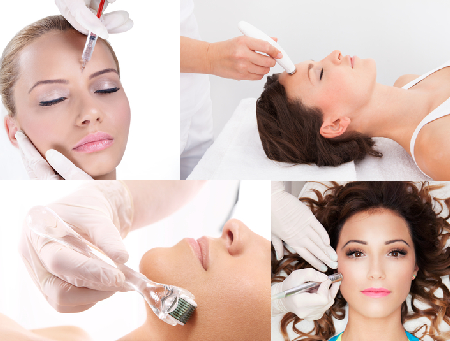 Start up costs are low for mesotherapy and training is minimal to learn how to do perform the procedure correctly. Plus, since low drug dosages are needed, product costs are low. You can charge an initial consultation fee of $225, for example, then charge $200 to $600 for the treatment, depending on your geographical area and other factors. A session takes only an hour, and clients come back for 8 to 10 treatments to complete program, in many cases. Love handles, cellulite and wrinkles are among the issues that will respond positively to mesotherapy. And remember, each patient needs many treatments to get the best possible results. Or you might prefer to charge a fixed fee of $300, perhaps, for a session on any part of the body. That will still get you from $2,400 to $3,000 per patient. Not all of your clients will have heard of mesotherapy, but you can be sure those who have will be requesting it. Through advertising and promotion to your existing clients, you can introduce this effective and lucrative procedure to more people, increasing your profit and helping your clients get the better bodies they desire. Essentially, your medical spa can introduce this procedure to a whole new audience of clients who will depend on you for great results. Teeth Whitening: ProfitabilityDental bleaching from dental clinics and medical spas is a safe, effective and well-received ways to enhance the look of any smile — and the profit margin for these products and procedures can be an important component in enhancing the facility’s bottom line. The FDA approves teeth whitening services for the restoration of natural color, and dental spas can offer these services with few overhead costs and high profits. One example of a particularly lucrative option is the Crest Whitestrips Supreme kit, which costs practices around $31. This set is sold to patients for about $55 or more. Since no doctor time is required to provide the kit, there’s about $24 of pure profit involved in this one kind of kit. Imagine, then, dispensing 32 kits per month. This would generate $21,120 in revenue per year. If your medical spa brings in about $400,000 a year, introducing these professional whitening kits could add 12 percent in revenue to your books — or more than $9,000 in profits. And this is just one example involving one brand of whitening strips. Medical spas can also offer an array of other brands as well as in-office whitening procedures when the doctor, dentist or other staff members are educated though a well-regarded medical spa training program in how to perform them. If the profits from selling a single type of kit can add significantly to the bottom line of facility, imagine the profit that’s possible when you offer services as well as a complete line of products. To say the sky is the limit regarding teeth whitening revenue potential is no exaggeration. In addition, it’s important to note that patients who want cosmetic procedures will certainly want white teeth to complete their transformations, and they will turn elsewhere for those service if you can’t or won’t provide them. Sleep Apnea: ProfitabilityMany of the services offered at a medical spa are intended to enhance the appearance of a patient, but you can actually make a significant difference in their overall health with sleep apnea treatment. Patients will pay heartily for services that really work, and you can provide them with ease when you have the right training and equipment. Sleep apnea happens when the muscles at the back of the throat relax and block the airway temporarily, and there are several things you can do to improve this condition for your clients. One treatment involves a laser and RF procedure that you can charge about $3,500 for. This measure tightens the soft palate muscles to reduce vibrating during the night. The most common treatment, however, is a CPAP positive pressure machine that you can sell to patients. Regardless of how the sleep apnea condition is treated, diagnosis and reaching a treatment program decision can cost the patient a minimum of $1,000. But treatment costs are rising, and so is the number of people who need ongoing treatment. Patients may need to pay from $2,000 to as much as $3,000 per CPAP machine. And the profit margin for the supplying spa or clinic is 25 to 40 percent. Since obesity contributes to sleep apnea and is on the increase, it’s likely that sleep apnea will increase in the future. 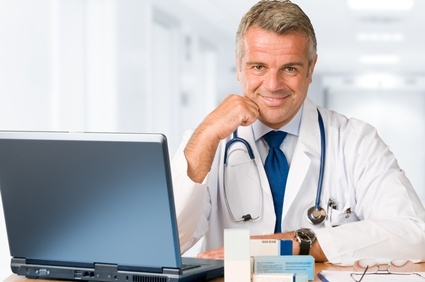 And so will your potential profit when you add a range of sleep apnea treatment programs to your medical spa. Sleep apnea is genuinely a matter of life and death for some patients, but effective treatments involving surgery, office procedures and machines are available and can be handled through your new medical spa facility at a great profit to you. Patients get the gift of life and are usually grateful to pay you whatever you’re asking to sleep soundly and safely for the first time in years. Pain Management: ProfitabilityIt seems that more people suffer from chronic pain issues than ever before. In fact, the market for devices that manage pain alone — not including services like you can offer at your medical spa — will reach nearly $2.7 billion by the time 2022 rolls around. Why not offer services that help people ease their pain while increasing the profit potential of your facility? For mild, simple pain, patients often turn to over-the-counter drugs or prescription pain blockers. When those don’t work or they need additional pain management tools, they often turn to pain centers. In some cases, physicians refer patients to pain centers when they think the pain management approach will be most effective. Putting a fine point on each how much profit can be made from a single pain management patient is difficult because there are so many variables to consider. The average cost of a complete pain management program at a pain clinic can be nearly $5,000, according to Marketdata Enterprises. Often, patients start by paying a $225 initial consultation fee, for example, and then pay about $200 per treatment with various kinds of procedures and equipment. Your medical spa will, of course, incur equipment costs for devices, like a Transcutaneous Electrical Nerve Stimulator. These devices cost at least $100 each. You may be able to offer physical therapy services as well if you get the right people on your staff with the right credentials and training from the right program. With so many people in pain and so much potential in the pain management marketplace, it would be a shame for your medical spa to miss out on this lucrative line of business. It can make the perfect complement to your cosmetic procedures business, sleep apnea treatment programs and other offerings. And it can make you some money to help support your practice as it grows and stabilizes. Chemical Peels: ProfitabilityLucrative chemical peel procedures improve the skin’s appearance by peeling away the damaged outer layer so the body can create new, healthier skin to replace it. The average cost to patients of this beneficial cosmetic procedure is about $720, according to the American Society of Plastic Surgeons. Depending on the part of the country and other factors, patients may pay up to $900 or more. Your clients will come to you asking for chemical peels if they have acne scars, liver spots, age spots, fine wrinkles and lines, freckles or irregular pigmentation of the skin that bother them. Some shallow scars respond to chemical peels as well. The actual cost to patients of a chemical peel varies depending on the size of the area covered and the intensity of the peel. A simple procedure can get you only $150, but a medium-level peel can cost the patient up to $2,000. Note that you may be able to charge extra for offering anesthesia, operating room facilities or other additional services. Getting started doesn’t involve high costs. Excluding office space and a table, you can get started offering chemical peels for as little as $2,000. Your profit margin is high. A single treatment may only cost you $25, perhaps as little as $5 in products. So you can calculate for yourself just how lucrative that can be. Patients come back often. 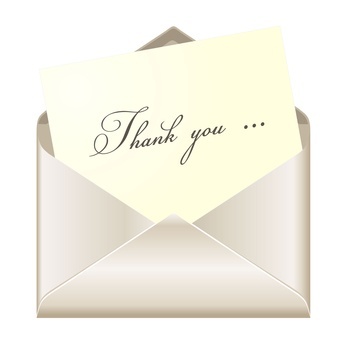 Once you’ve provided great results, patients will come back again and again. That means you can make from $125 to $900 or more every time the patient comes in, and many patients will come in several times a year. Microdermabrasion: ProfitabilityBoth your clients and your medical spa’s bottom line benefit significantly when you offer microdermabrasion. Why not add offer the lucrative and often-requested procedure to your stable of offering and watch your profits soar? A microdermabrasion session often involves only $40 in supplies, but the average patient cost is about $148, according to details released in 2013 by the American Society of Plastic Surgeons. Of course, the cost of a session varies depending on where you are and the type of clientele to which you cater. And keep in mind that you can charge extra for offering anesthesia and charge facilities charges in some cases too. Any way you look at it, charging nearly $150 or more for something that cost you only $40 means you make about $110 or more in profit from every procedure. And here’s the best part: each procedure takes only 30 to 60 minutes, leaving you plenty of time for more earning potential each day. You can even adjust your lunch time and offer microdermabrasion as a lunch-hour facial to clients with limited free time. Each patient will need from 5 to 12 treatments for maximum benefit. Usually, these are booked 2 or 3 weeks apart. If you charge a patient $150 for 12 treatments, that’s $1,800 you take in. If your costs are only $40 per treatment, you make more than $1,300 in profit from a single patient. Imagine having a patient every day — or several each day — who want microdermabrasion. In addition, patients will require periodic maintenance procedures and may want other cosmetic procedures performed as well. Also, microdermabrasion works best when accompanied by a regimen of lotions and skin care products, which you can offer for sale as well. So why not offer microdermabrasion at your medical spa? Your patients will be glad to take advantage of this quick and painless procedure, and your accountant will thank you for the offering microdermabrasion too. 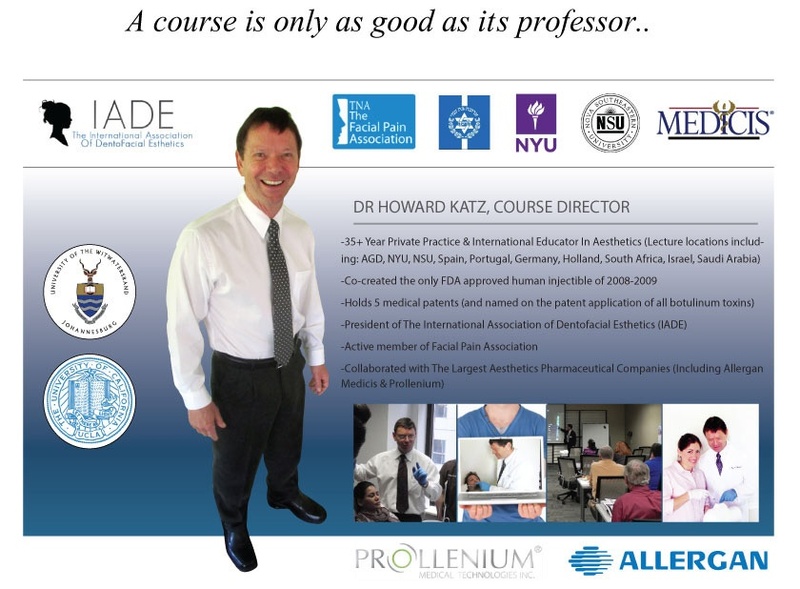 Dr. Katz (see his profile) has a proven track record both personally marketing aesthetics treatments (including botox parties, referral programs, paid and unpaid marketing methods), as well as teaching thousands of students to successfully do the same. 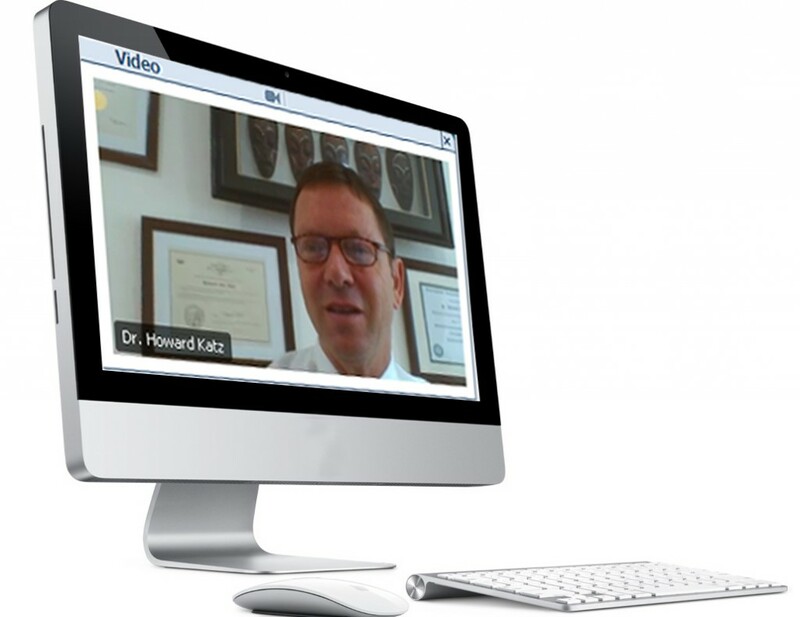 Convenient online, live instruction format: The convenient online format allows you to watch and interact with Dr. Katz live from the comfort of your home or office. The easy to use platform requires no extensive computer knowledge (think facetime or skype), and allows you to ask questions just as you would in a normal classroom. How to free up your time by simplifying administration: The business management and administrative aspects of a medical spa are at the core of creating new revenue streams while freeing up your time from personally providing each treatment (allowing for greater growth potential). 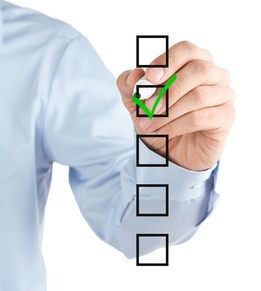 Clear and comprehensive steps to setting up an efficient operation. Who the legitimate Spa staff are to perform procedures. Who you may hire, who you should hire, and how to hire them. 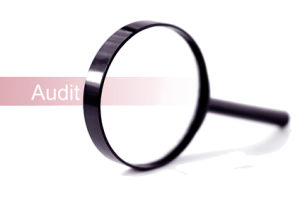 How to protect yourself from an audit: This course will teach you how to protect yourself from an audit with a Board compliant Medical Spa. You will learn how to handle an audit by the Boards & what to expect if you break the law, as well as what type of Malpractice Insurance should you have and which is a waste of money. Satisfaction Is Guaranteed Dentox stands behind it’s aesthetics courses, and is so certain of your happiness with the professor, format, curriculum & results, that all course fees are insured by a 30 day, unconditional money back guarantee. Who Should Take This Medical Aesthetics Course? Anyone who intends to (or already has) introduced medical treatments into their offices and does not have a license to practice medicine in your state. The course is also recommended for MD’s considering opening spa’s or becoming medical directors for non-medical practices, and for salon and day-spa owners. Botox is a drug that is manufactured from a toxin produced by a bacterium known as Clostridium botulinum. Doctors use this drug in small doses to correct and treat health problems that include temporary smoothening of facial wrinkles and improvement off facial appearances. Botox injections work by paralyzing certain muscles or blocking certain nerves. The economics of dental practice and facial injectable therapy with Botox and dermal fillers are impressive due to the exponential growth of this aspect of practice. As the demand continues to grow, this practice yields a significantly healthy profit margin. Many specialists understand that if they start providing Botox, they will, financially, come out way ahead of their contemporaries who do not perform these services. After all, these health professionals are not required to invest in large or special pieces of capital equipment. They have no monthly lease payments that are separate from their already existing health services. •	There is a product cost for that kind of treatment which is anywhere from $50 to $500. Why Offer Dermal Filler Treatments? Dermal fillers will volumize creases and folds in the face in areas that have lost fat and collagen as we age, and have collapsed. After the age of 30, human bodies lose approximately 1% of their hyaluronic acidthat are important for hydrating and adding volume to the skin.The hyaluronic acid also known as hyaluronan or hyaluronate acidis the natural dermal filler substance of the human body. It is a carbohydrate or more specifically, it is a mucopolysaccharide; a viscous gel that is found naturally throughout the human body. But it is more highly concentrated inside the eyeball. The depletion of hyaluronic acid continues until it completely stops at the age of about 50. As a result the face starts to lack its youth supple volume and appears aged. It develops an appearance characterized by deeper nasolabial folds, unaesthetic marionette lines, and deeper mentalis folds. The lips start to get thinner and to turn downwards at the corners. For individuals who desire to recapture their lost youthfulness, hyaluronic acid fillers are available on the market in the form of Restylane and Juvederm, Perlane, Evolence and Radiesse. These drugs are injected extraorally right underneath the folds of the skin to replace the volume lost. This creates a younger, fuller look in the face. Hyaluronic acid is the main chemical component in dermal fillers such as Restylane, Juvederm (Allergan), Juvederm Ultra and Juvederm Ultra Plus (Allergan) and Perlane. But the main ingredient in the Radiesse drug is calcium hydroxylapatite. Evolence has Porcine collagen as its main component. Needless to say, the greater the number of patients seeking these services the greater the profit margin realized. A chemical peel is a procedure that is used to improve the appearance of the skin on the face, neck or hands by applying a chemical solution to the skin, which causes it to exfoliate and eventually peel off to reveal a new regenerated and smoother skin.The average cost of a chemical peel is $720, according to 2013 statistics from the American Society of Plastic Surgeons. A chemical peel is also used to improve acne or acne scars, age and liver spots, fine lines and wrinkles, freckles, and irregular skin pigmentation. In the United States, a chemical peel can cost anywhere between $600 and $900, on average, but the cost of the chemical peel can vary widely depending on the type of peel chosen, the cost of living in the region where the patient resides, and the size of the area being peeled. The cost can be as low as $150 for a light peel. A medium chemical can cost from $1000 to $2000. A deep peel costs between $2,500 and $6,000. This treatment is recommended for darker-skinned patients. It is important to note that the chemical peel price range encompasses the doctor’s fee only. Other fees associated with the chemical peel procedure, such as those for anesthesia, operating room use, and a possible hospital stay may be added to the cost. •	Startup Costs are Low: Minimum chemical peel startup cost is $2,000. This excludes office accommodation and table. •	Margin is high: The cost to provide a chemical peel treatment is $25 ($20 labor, $5 products) and the retail is typically around $125, so the profit is $100; about once a month. •	Patients repeat the treatment often: For success in chemical peel treatment of one patient, a provider can make a minimum of $1,200/yr. a)	Laser Hair Removal: This type of laser therapy uses selective photothermolysis, or heat produced by light, to target the melanin in hair follicles. The resulting deliberate follicle damage disrupts the growth cycle and permanently reduces the volume of hair regrowth. The average cost of this type of treatment is anywhere between $100 and $500, but this is dependent upon the size of the area that needs the treatment. The larger the area the higher the cost and greater the profit margin. The number of initial treatments per patient range from 6 to 10 treatments. The treatment regularity is 4 to 6 weeks. The demographic groups who qualify for this treatment are people with skin type I-VI. The minimum income potential for per patient for the provider is approximately $5,000 and above. b)	IPL Photofacial: This laser treatment delivers exact amounts of scattered light energy through the skin’s surface, targeting unwanted skin pigmentation and stimulating collagen production. This softens the appearance of fine lines and wrinkles, lessens age spots and sun damage, and reduces skin redness associated with rosacea. The average cost is between $300 and $500. Again this is dependent upon the size of the surface area that needs the treatment. The number of treatment required is between 3 and 5. The treatment regularity is once every four weeks. Demographic groups that qualify for this treatment are those with skin type I-III. The minimum income potential per patient for the provider is $2,500. c)	Laser Tattoo Removal: In this form of treatment, the provider uses the Q-switcher to project heat via laser beams into the tattoo ink trapped in the skin’s dermis. The idea is to break up the ink particles and allow the body’s lymphatic system to absorb and disperse the color, fading and removing the tattoo through time. The average cos is between $200 and $500, depending on the size of the treatment area. The number of treatments are between 12 and 15 maximum results. Treatment must be done every four weeks. People who can receive this treatment are those of skin type I-III. Minimum income potential per patient for the provider is about $7,500. d)	Fractional Laser Wrinkle Reduction: This therapy takes a standard beam of laser light and splits it into thousands of microbeams. These microbeams are then projected into the epidermis and dermis, coagulating narrow columns of tissue while leaving the surrounding area unharmed. This process stimulates the body’s healing process, creating new collagen and healthy tissue. Fractional laser treatment is used to reduce the appearance of wrinkles. It also treats dark hyperpigmentation associated with melasma, and aids in correcting the discoloration and uneven texture of scars caused by acne, surgery or other injuries. The average cost ranges from $1,000 to $3,000 depending on the area being treated. Treatment is done 4 to 5 times every four weeks for maximum benefits. Individuals who qualify for this treatment have skin type I-IV. The income potential per patient for the provider is $15,000 or more. Mesotherapy involves the use of multiple intradermal or subcutaneous injections of a mixture of compounds in minute doses, by means of very fine needles, directly over/near the affected sites. The wider reception of mesotherapy by its stakeholders is probably due to factors like inexpensive equipment, relatively minimal training for providers, much reduced dosage need of the drugs with positive results. This cost is separate from the initial $225 consultation feel. The average cost per session ranges from $200 to $600 although cost varies by doctor and geographical location. In addition, the cost is very much dependent upon the nature of the medical condition and the number of sessions needed to achieve the results desired. One session lasts only one hour, maximum. The average patient gets one treatment per week and requires 8 to 10 treatments. Thinner patients seeking treatment for problem areas such as love handles or cellulite sometimes require fewer treatments, while moderately overweight patients sometimes require more. The total cost for all sessions for one body part usually ranges from $2,500 to $4,000. For three body parts, the charge is $12,000. 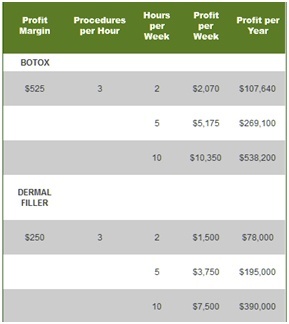 For an investment cost of about $3,000 in training to administer mesotherapy, the profit margin is quite high. Another alternative it to charge a fixed $300 for single sessions and a full treatment series generating anywhere between $2,400 and $3,000. Provider cost for microdermabrasion can be as low as $40 in supplies. But the average cost of microdermabrasion therapy per patient is about $148, according to 2013 statistics from the American Society of Plastic Surgeons. The cost of microdermabrasion treatment can vary. The average fee referenced above does not include anesthesia, facilities or other related expenses. These can be billed separately at the discretion of the provider. Convenient and virtually painless, the microdermabrasion procedure takes only 30 to 60 minutes and is commonly referred to as the “lunch hour facial.” On average, patients should expect to pay between $75 and $100 per microdermabrasion treatment, which considering the time required to administer treatment, equates to high profitability. A patient might need between five and 12 treatments, in total. These are often spaced two to three weeks apart. Many other periodic maintenance treatments might be required subsequent to the initial treatment regimens. Microdermabrasion can be performed by a plastic surgeon as well as by a registered nurse or aesthetician. Some practitioners recommend an additional individualized skin care program, which might require the patient to buy products such as cleansers, masques and moisturizers. These can cost up to $200. Why Offer Pain Management Treatments? The US market for pain management devices will continue to expand and reach a value of nearly $2.7 billion by 2022. This is due to an increased focus on pain management as a result of the Centers for Medicare & Medicaid Services incentives for facilities with high patient satisfaction ratings as well as pain research initiatives from the Affordable Care Act. •	For mild, shorter-term pain, a provider might recommend over-the-counter drugs such as Acetaminophen and nonsteroidal anti-inflammatory drugs (NSAIDs) such as ibuprofen. These cost anywhere between $5 and$25, depending on the quantity and whether the patient buys a name brand or its generic equivalent. •	Provider prescription medications for relief of ongoing, severe pain can include anticonvulsants , such as carbamazepine or Tegretol. These cost about $53 for 30, 100 mg capsules. Provides might also prescribe antidepressants like Amitriptyline costing $12 for 30, 10 mg tablets. Opiate pain relievers such as hydrocodone (Norco, Vicodin) cost an average $18 for 30, 325 mg tablets. •	A physician may refer a patient to a pain center, in which a team of health professionals create a treatment plan, which might incorporate professionals from different disciplines. According to Marketdata Enterprises, a market-research firm, the average cost of such a pain program is $4,873. Fees are based on the procedures involved and complexity of the problem. For example, an initial consultation might be $225, but required monthly office visit could cost $195 each, and additional treatments might also be needed. •	Equipment and devices used to fight chronic pain differ in cost. For example, carrying a Transcutaneous Electrical Nerve Stimulators (which is a battery-operated units connected to the skin that emit electrical impulses to block pain signals), only cost in the neighborhood of $100. Sclerotherapy is used for relief of varicose veins. It is a gold standard for treatment of leg veins, and costs about $354 for the initial treatment and $150 for additional or succeeding sessions. The procedure takes anywhere between 5 to 30 minutes depending on the number of veins being treated. Other providers charge as much as $600 per session. The recommended national average is between $250 and $500 per session, but doctors are free to work out their own charges in a free market economy. Why Offer Skin Rejuvination Treatments? Innovative laser technologies for skin rejuvenation offer deeper and more aggressive penetration of the skin than traditional skin rejuvenation lasers, stimulating optimal collagen remodeling for the ultimate in skin resurfacing. These treatments effectively improve tone, tightening and texture of the skin by reducing the appearance of fine lines, uneven texture, dyschromia, skin laxity as well as moderate to deep wrinkles and scars. The treatments offer high profit margins as the average ablative skin resurfacing treatment typically retails for about $2,500 and above. In this procedure, an abrasive instrument is used to mechanically sand the skin to remove some of the top skin layer (epidermis) and stimulate new skin growth. By removing the outer skin layers and smoothing the treated skin the physician can achieve a rejuvenated appearance. In a countries with free market economies such as the United States, the charges may vary from provider to provider. For example, the fee for procedures such as ablative skin resurfacing or rejuvenation per patient might be $2,500 and for non-ablative skin resurfacing the minimum recommended charge would be $1,025. Nevertheless some physicians do charge as much as $3,000 and $2,500 for the two procedures, respectively. Rejuvenation machines cost between $500 and $5,000 depending on the quality. Why Offer Sleep Apnea Treatment? Sleep apnea occurs when the muscles in the back of the throat relax. This causes an airway obstruction that can stop a person’s breathing for several seconds, even minutes. It causes restless sleep and, sometimes, dangerously-low blood oxygen levels. One form of treatmentfor this condition is a laser and RF procedure, which costs a minimum of $3,500. This treatment is used to tighten the muscles of the soft palate to reduce vibration during sleep. One single night spent at a hospital sleep lab as part of sleep apnea treatment can cost up to $1,900, besides the cost for the actual procedure. The Harvard Medical School Division of Sleep Medicine claims that unmanaged moderate to severe sleep apnea is estimated to cost an incremental $2,700 to $3,000 in treatment costs, annually. This is the average incremental cost only. But individual provider prices have continued to steadily increase from $1,661 in 1996 to about $4,000 in 2010. The other most common treatment for sleep apnea applies continuous positive airway pressure or CPAP. A machine is used to deliver air through a mouthpiece all night. For patients who cannot tolerate CPAP researchers at Stanaford University suggest laser-assisted uvulopalatoplasty surgery. But the efficacy of this surgery has received mixed scientific reviews. Some scientists claim that the condition tends to recur a year or so after surgery. The minimum patient cost for the surgery is $3,500. Sometimes people who have had this surgery are also required to procure and use a CPAP machine after all. The American Sleep Apnea Association places the minimum cost for diagnosing and treating sleep apnea at a minimum of $1,000, but acknowledges that as the treatment is ongoing the cost is also increasing. In some cases treatment using CPAP is between $2,000 and $3,000 per unit cost. The profit margin range is between 25% and 40% depending on the region the patient lives in and the type of provider. With continuous increase in obesity rates, which is a risk factor for sleep apnea, the treatment costs are likely to keep escalating. Teeth whitening is a common form of dental bleaching, which according to the FDA, restores natural tooth color. Practices can provide these types of services with relatively low overhead considerations, resulting in high profitability. As an example, profit margin on Crest Whitestrips Supreme is quite high because the product cost for practices is as low as $31. However, the price for patients to procure the whitening kit is typically $55. This gives the provider a profit margin of $24 on every kit sold in the practice. The entire $24 per kit is counted as profit because Crest Whitestrips Supreme requires no doctor time. •	An average cost to the practice of $31 per kit. •	A recommended cost to the patient of $55 per kit. •	An average net profit of $24 per kit. Based on these figures, a practice that dispenses 32 whitening kits each month will generate revenues of $21,120 per year (32 kits x $55 patient fee x 12 months). The result is an overall profit of $9,216 (revenue minus overhead) annually for the practice. For a practice that averages $400,000 a year in production, an increase of 12% in revenue from introducing professional whitening kits translates into increased production reaching $448,000 a year, which is a $48,000 increase. Due to the low overhead involved with adding Crest Whitestrips to the service mix, practices can count on more than 50% of that $48,000 as additional profit.